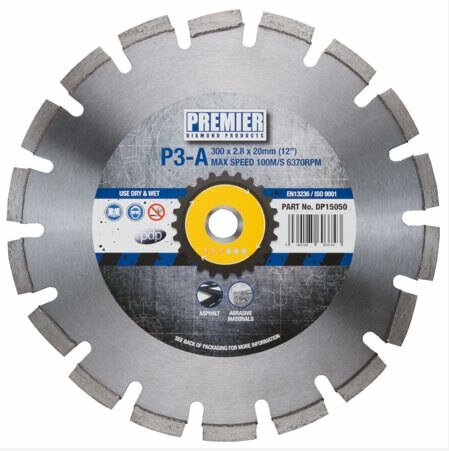 The P3-A asphalt blade strikes a good balance between cost and performance. Drop segments on all sizes ensures protection against undercutting when sawing through asphalt and abrasive materials. The P3-A asphalt blade strikes a good balance between cost and performance. 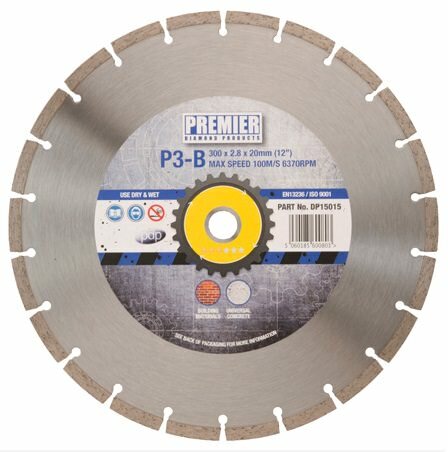 The P3-B offers unrivalled performance when compared to other low cost blades. 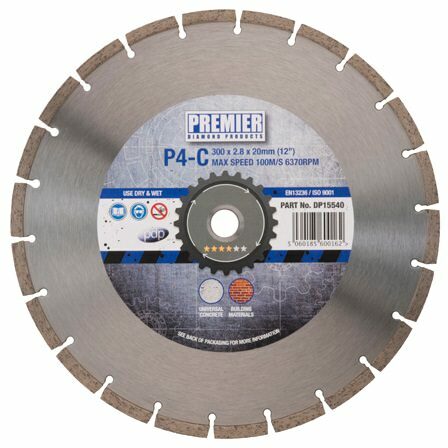 The P3-B offers unrivalled performance when compared to other low cost blades. The P3-B is manufactured in-line with the European safety standard EN13236, and so can be used with confidence. The P3-M mortar raking blade is 6mm wide and offers an economical solution in preparation for re-pointing brick & block work. 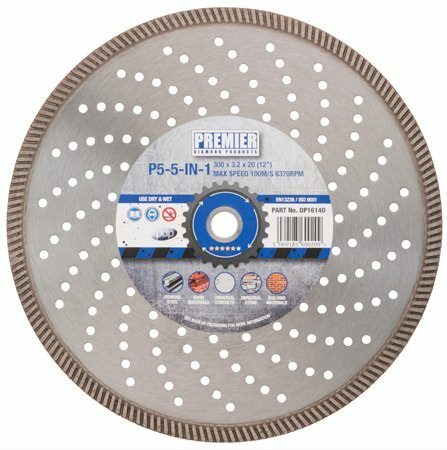 Developed with the utmost understanding of aggregates being used in the manufacture of British concrete products & building materials, the P4-C is durable, fast cutting & long lasting. 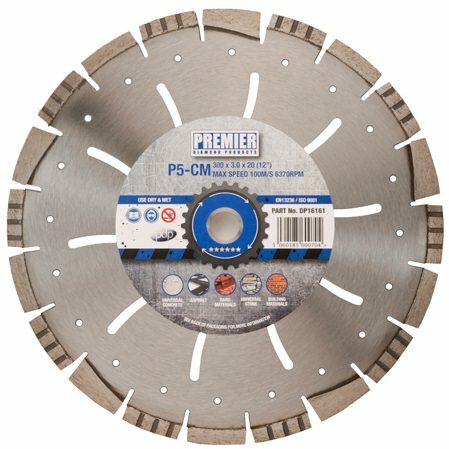 Our most popular premium blade - The 5-in-1 blade has been designed with a bond that enables it to cut most steel applications. The P5-C12 provides good cutting speed through all types of concrete products, building materials and abrasive materials. 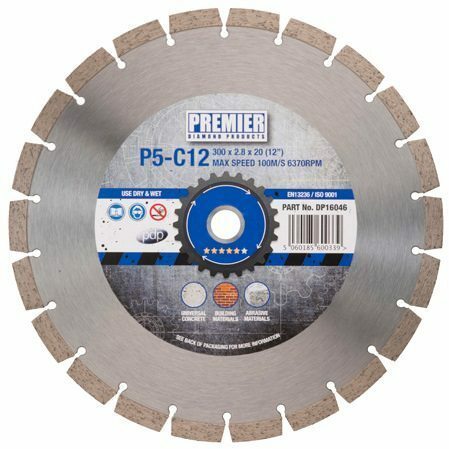 The P5-C12 provides good cutting speed through all types of concrete products, building materials and abrasive materials. The 12mm diamond segment is fully usable and ensures good life. 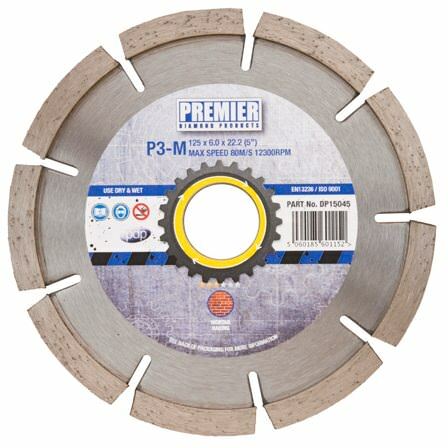 The P5-CM is a premium laser welded multi-material diamond blade. 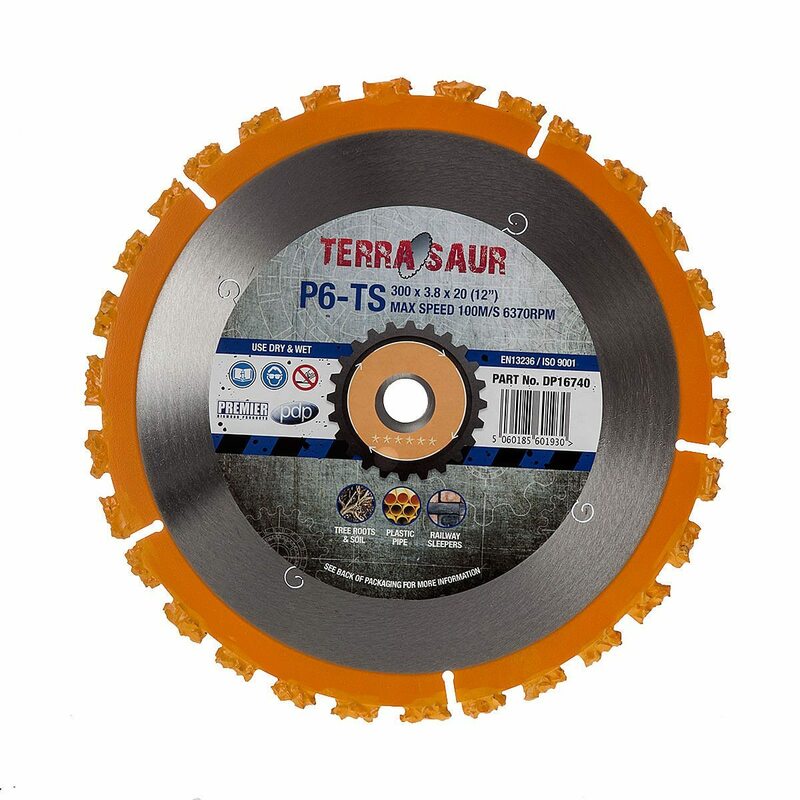 It is the ultimate multi-trade blade ideally suited for; Utility contractors, civil engineers, landscape gardeners, roofing contractors, construction companies & general builders. 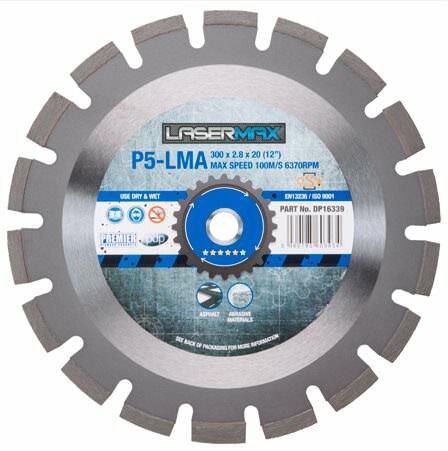 The P5-LMA is a premium laser welded blade that offers great performance on asphalt and abrasive materials. 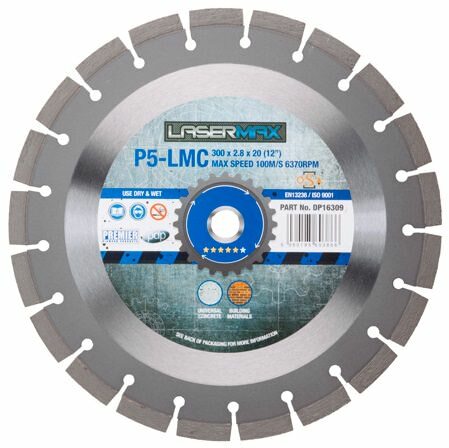 The P5-LMC is a premium laser welded concrete blade that offers great performance on all types of reinforced concrete, general concrete products & building materials. 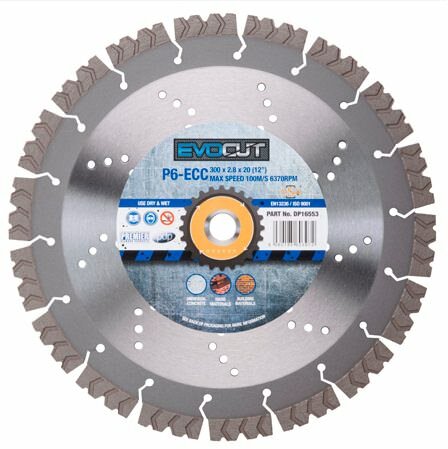 The EVOCUT is a professional grade laser welded blade that is designed to cut very hard reinforced concrete FAST. 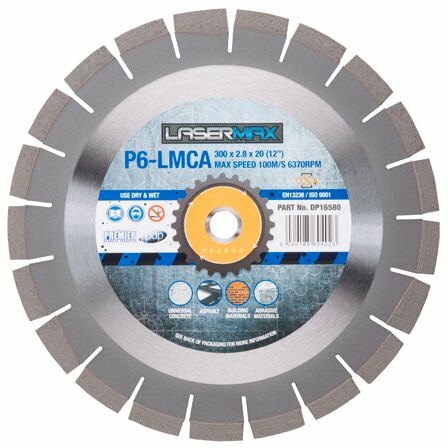 The P6-LMCA is a professional grade combination concrete and asphalt laser welded blade.